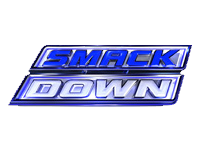 The 14th December 2012 episode of Friday Night SmackDown! starts with a video recapping the events on Monday Night Raw involving The Shield, Team Hell No, and Ryback, as well as the events involving Sheamus and The Big Show (click here for our Raw report), Sheamus and Antonio Cesaro join commentary as The Big Show takes on R-Truth to kick off the show. The match sees Show get the victory, when he hits Truth with the K.O Punch for the 3-count. Afterwards, Show exits the ring and attempts to goad Sheamus into breaking the “no contact” clause in place until their match at TLC, and contact does indeed seem to take place, but as a result of Cesaro pushing Sheamus into Show from behind. After an interaction backstage involving The Big Show and Booker T, in which Booker says that as far as he is concerned, the match at TLC is still on, and a video recapping the match between Team Rhodes Scholars and The Uso’s on Raw, “Team Rhodes Scholars” Cody Rhodes and Damien Sandow are pitted against Jimmy & Jey Uso in a Tag Team match. The match sees Sandow get the victory, when he rolls up Jimmy Uso with the aid of the tights for the 3-count. After an interaction backstage involving The Big Show and David Otunga, Otunga and Show head to the ring and attempt to argue their case in front of the crowd that the “no contact” clause was violated, despite Booker T coming out to the stage and saying that it was in the spirit of the law and not the letter of it. Show changes his mind however, when Sheamus’ music hits and he makes his way to the ring with a steel chair and points out that if Show gets what he wants, there is nothing to stop Sheamus from kicking his arse right now. With the potential consequences of his actions pointed out to him, The Big Show quickly mutters that it is his opinion too that the contract is still valid and leaves. David Otunga isn’t happy about Show changing his mind, but he quickly has something else to think about, as Sheamus hits him with a Brogue Kick. After a video recapping the match between Randy Orton and Brad Maddox and its aftermath involving The Shield two weeks ago, and Randy Orton being attacked backstage by The Shield, Aksana goes against Kaitlyn in a match which sees Kaitlyn get the victory, when she hits Aksana with a Fireman’s carry gutbuster for the 3-count. After Matt Striker says that WWE Medical staff have confirmed to him that he has a separated shoulder and may have suffered a concussion, The Miz presents “Miz TV” with his guests “Team Hell No” Kane and Daniel Bryan, which sees them say that they will use Tables, Ladders, and Chairs in their match at TLC, and love every second of it. They are interrupted by The Shield appearing on the titantron and claiming that “justice will be served” at TLC, and The Shield then making their way through the crowd to head to the ring. They stop in their tracks however when Team Hell No’s Tag Team partner for TLC, Ryback, makes his way to the ring to join them, and The Shield end up retreating back through the crowd instead. Now, The Great Khali and Hornswoggle (accompanied by Natalya), Justin Gabriel, and Tyson Kidd take on Primo and Epico (accompanied by Rosa Mendes), and “Prime Time Players” Titus O’Neil and Darren Young in an Eight-Man Tag Team match which sees Kidd get the victory for his team, when he counters Primo’s counter-attempt into a pin for the 3-count. Afterwards, the losing team attempt to to attack the winning once to avenge their loss, only to be taken out and the winning team celebrate by dancing around in the ring. Next, Kofi Kingston is pitted against Alberto Del Rio in a match which sees Kingston get the victory, when he rolls Del Rio up for the 3-count. Afterwards, Wade Barrett attempts to attack Kingston from behind, only for Kingston to duck and take Barrett out by hitting him with Trouble In Paradise. After an interaction backstage involving Sheamus and William Regal, Sheamus goes against Antonio Cesaro in a match which sees Cesaro get the victory as a result of a count-out, when The Big Show makes his way out to the stage attacking William Regal, prompting Sheamus to head up the ramp. Despite the attack, especially when Show hits Regal with a steel chair, Sheamus heeds Regal’s warning not to break the “no contact” clause like Show obviously wants, and Sheamus stares angrily after Show while he leaves, as SmackDown! goes off the air.